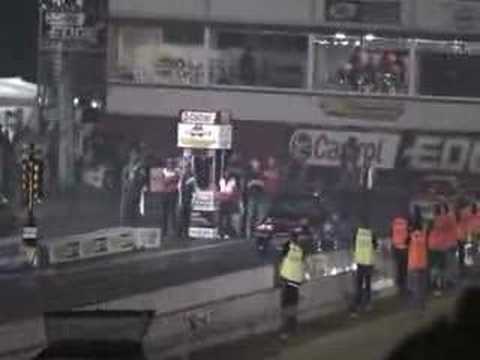 The Godzilla Motorsport R32 GT-R has run a new PB of 7.78 @ 183.1 mph on the way to winning the modified compact class at Jamboree 2009. The car was consistent all weekend running at string of 7 second passes with the 7.78 second pass coming in the semi-finals. Paul Diemar’s R32 GT-R also ran a personal best in the first round of eliminations running 9.45 @ 142mph but unfortunately broke out on his 9.50 dial-in in the process. Paul saw good gains across the weekend with a number of 9 second passes. Check out the gallery for pictures of the event. The TRD Toyota Solara running a Vi-Pec V88 ECU tuned by Godzilla Motorsport has run 6.71 at 204mph at Willowbank Raceway over the weekend. Vi-Pec Tuned V88 Makes 807hp. Paul Diemer’s “Twoogle” GT-R running a new T51R turbo setup and Vi-Pec V88 ECU was tuned by Godzilla Motorsport prior to the recent Compak Attack in Sydney and made an impressive 807hp at the wheels. This is one of the first Vi-Pec ECUs to be utilised on a high power drag setup and Mark was impressed with both the features and ease of use, comparing it to the Motec M600 ECU used on his own drag car. The next step for Godzilla Motorsport: a Vi-Pec V88 on their own methanol breathing 7 second drag car. At the Winter Nationals Mark has run a 7.96 at 176mph during Saturday qualifying, and back up with a 7.97 @ 163mph during Sunday eliminations. 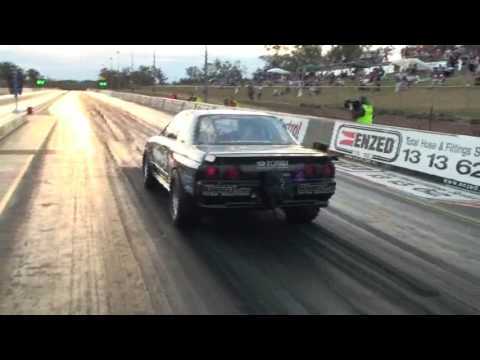 Mark has driven the Godzilla Motorsports R32 to a new PB, running 8.11 at 172.8mph.